to ensure the best possible color accuracy for each substrate. Our Hahnemühle Digital FineArt collection comprises true artist papers with varying grammage and surface structures for art reproductions, photographs, and digital art. Premium coating on the papers preserves their haptic exclusiveness and guarantees long-lasting true-to-detail prints that meet the requirements of museums and galleries. With its premium matte, satin, and pearl inkjet coating, Hahnemühle Photo Rag papers meet the highest industry standards regarding density, color gamut, color graduation, and image sharpness while preserving the special touch and feel of genuine art paper. Hahnemühle Photo Rag® Bright White is a cotton paper with a lightly defined felt structure and soft feel. The matte premium inkjet coating and bright white of the paper allows for brilliant results in high contrast images. This paper is ideal for photographs and artwork with lots of color, contrast, and detail. Hahnemühle Photo Rag® Pearl has a smooth, uniform surface texture with the unique pearl coating. It is especially suitable for photography and art reproduction with warm grey and color tones. Hahnemühle Photo Rag® Ultra Smooth is an exceptionally smooth and silky soft high-quality inkjet paper. Made with 100% cotton, it has a strikingly silky feel. This paper is ideal for fine art photography and art reproductions because of its ability to capture color, detail, and very deep blacks. Hahnemühle Torchon Paper is known for its unique surface texture and means “coarse structure” in French. It is a bright white matte paper that is ideal for artwork that contains depth. Hahnemühle William Turner Watercolor paper is a cotton paper that features a distinct textured surface. It is a genuine mold-made paper that is coated with premium matte inkjet coating to preserve the feel of art paper. This paper is ideal for reproductions of traditional artwork and expressive photo reproductions. We are a Hahnemühle Certified Studio for digital fine art printing; capable of printing consistently and predictably on Hahnemühle Fine Art paper. Our selection of Premium Fine Art Papers include a range of papers that ensure high quality and vibrant reproductions of both photographs and paintings. Each paper is acid-free and coated to be instantly dry and scratch resistant to preserve the image quality for many years. The Baryta and Photo Metallic papers are ideal for photographs that have incredible detail and vibrant colors. The Bamboo Fine Art Paper and Textured Fine Art Paper have unique surface textures and are perfect for painterly images. Bamboo Fine Art inkjet paper is made from 90% bamboo fibers. This allows for environmentally friendly paper production and a natural white, warm-toned white that does not contain optical brighteners. This lightly textured paper is ideal for warm hues and monochrome prints. Photo Metallic Photo Paper is an instant-dry and scratch resistant inkjet paper that allows for stunning prints. The metallic, high-gloss surface of this paper is ideal for photographs that are sharp and vibrant. Photo Metallic Luster Photo Paper is an instant-dry and scratch resistant inkjet paper that provides unique texture and depth because of the Luster Finish. This paper is ideal for vibrant photographs or artwork with high contrast and colors. Textured Fine Art Paper is a natural-white art paper with a textured surface. The unique surface texture can add a more painterly look to photographic prints and art reproductions. This paper is ideal for painting and images that have bold, loose strokes instead of intricate details. Our Standard Fine Art papers are straightforward and reliable for excellent reproductions. Each paper is high quality and acid-free with a premier look and feel. They are all coated to be resistant to both scratches and smudging. The Glossy and Luster Photo Papers are instant-drying, inkjet photo papers that rival traditional photographs by capturing a wide range of colors and details. Enhanced Matte Paper is one of our best sellers because it delivers amazing print results for both photographs and paintings. Enhanced Matte Paper is a smooth, neutral-white, matte paper that supports accurate color reproduction for both high contrast, and high resolution images. It features an instant-dry coating that resists fingerprints and smudging. This paper is ideal for both fine art and photographs. 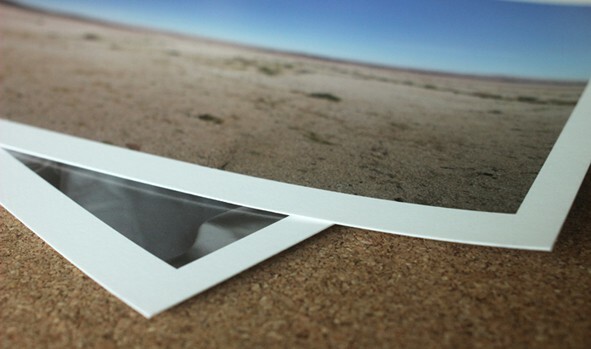 Glossy Photo Paper is an instant-drying, high-gloss paper with a resin coated base. This allows the paper to maintain vivid, lifelike colors that rival traditional prints with maximum ink coverage. It is ideal photographs, layouts, portfolio images, and proofs. Luster Photo Paper is an instant drying paper that produces vivid, lifelike images that rival traditional silver halide prints. It is able to deliver highly saturated prints and maximum ink coverage and a high D-Max. The weight of the paper gives each print a photographic feel and keeps the paper cockle-free. Our Luster Poster Paper is the best choice for printing displays or signage of your artwork at events. While not recommended for fine art prints, it is an excellent value to display artwork temporarily. Poster Paper is an instant-dry, lightweight paper with a low glare satin finish. This paper is easy to handle and offers light-fastness and water resistance. This paper is ideal for posters, signs, and displays.